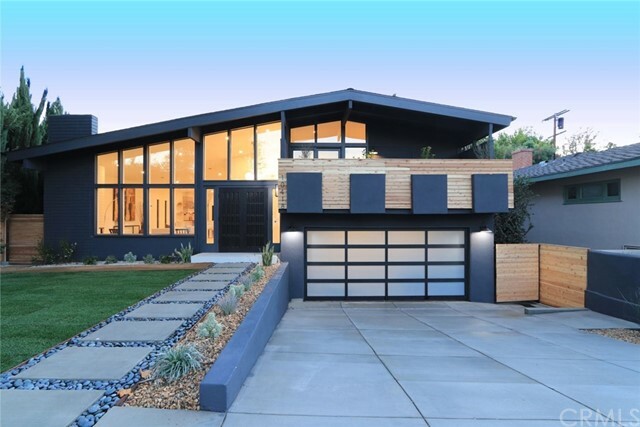 For Sale or Lease.Magnificent Modern Beauty! This spectacular remodel has been designed and handcrafted with excellence and precision! 3 Bedrooms. 3.5 Baths with a den or convertible 4th bedroom. Some Amazing home features include: spacious open formal living with high vaulted ceilings, decorative fireplace and Stylish Terrazzo Flooring. Formal dining area with comfortable open floor plan, Gorgeous gourmet kitchen with stunning Calcutta Quartz counter tops, top of the line stainless steal Viking appliances including 6 burner stove, range hood and big Sub Zero. Modern style, designer custom soft closing cabinetry, chefs prep Island/breakfast bar with deep Kohler sink and stylish high-end Brizo hardware and fixtures. Gorgeous European Oak Engineered Flooring lead to upper level. All bathrooms beautifully remodeled with designer Kohler fixtures, hardware, with marble and quarts counters. Two Master suites with balcony views and professionally organized walk-in closets. Tech friendly Nest thermostat, security Ring doorbell, all new custom doors throughout with sleek modern hardware, new energy efficient windows and New electrical and plumbing. Big patio for outdoor entertaining, professionally landscaped yards with lush new sod and mindful drought tolerant flora. Attached two car garage with convenient access to home. Prestigious Toluca Lake Location in highly desired neighborhood - GORGEOUS Remodel A Must See!